Original sideboard with markedly essential and modern lines. The solidity of this product makes it suitable for private and �contract� spaces. 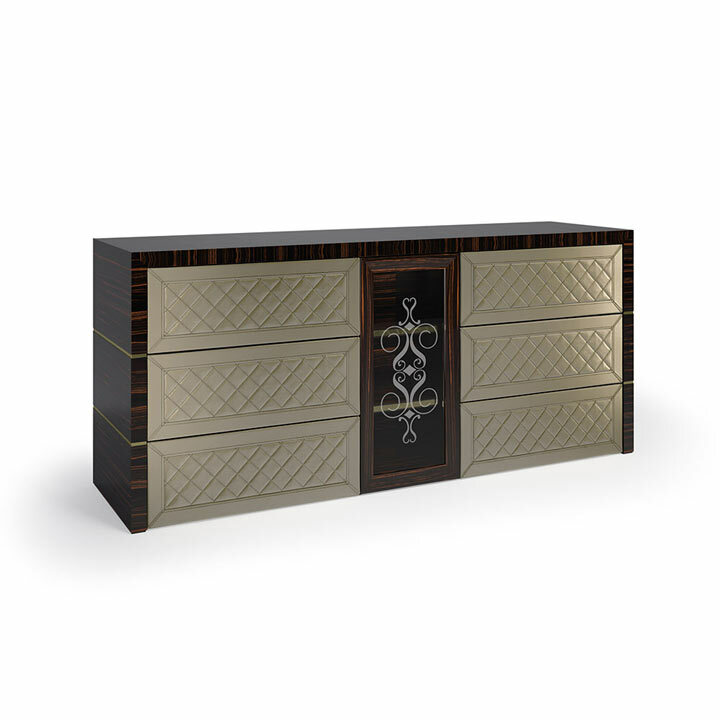 The drawers, with the front covered in modern eco-leather with diamond pattern embroidery, are the characterising feature of this product. The central compartment is closed by glass with our printed logo and the profiles are gold plated, offering a luxurious touch that is clearly noticeable.